Three out of four people who quit, relapse in the first year. This is because they simply stop the drugs or booze and then hope for the best. Mainstream rehabs take the same approach which is why they have a failure rate of over 80%. Various substances may have made you feel awesome, superhuman, chilled or ‘in flow’. If nothing in your life changes except that you don’t have that any more, life feels empty and you’ll be victim to cravings and relapses. Then you’ll start thinking you’re diseased. You’re not. The only failsafe way to quit is the combination of a mind-shift, a replacement strategy for highs and a lifestyle that makes every day better than the last. The eHAB videos cover all of this. They are based on 30 years of research by Jost Sauer. As soon as you purchase eHAB you will receive a log-in by email so that you can access the content at your own pace. 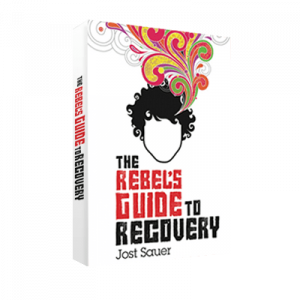 If you quit with expert guidance, you know how to avoid relapses, manage cravings and get your relationships and life back and how to be addiction-free forever. The majority of people who quit at home repeatedly relapse. eHAB is the solution. These videos have helped thousands of people to successfully quit drugs or alcohol in the privacy of their own home. Your investment is less than you’d spend on a big night out and the return is priceless: freedom from addiction. Watch a sample eHAB video for free!